By noon I remembered that there was a big show at the club later. 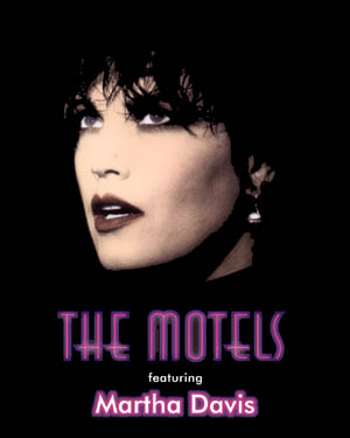 The Motels would be playing — they had a couple of top-ten hits back in the eighties. The dinner reservations were full and the advance tickets had sold out. The phone rang. It was John Bonoccorso from the club. 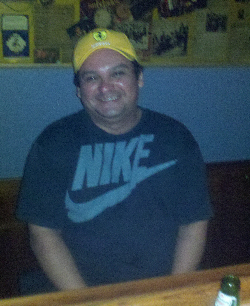 I’ve worked with John for fifteen years behind the taps; he’s now the GM at Johnny D’s. Any call before work is never good. No problem? What was I saying? I barely had time for a quick shower. I put on my work shoes and rushed to the club. At Johnny D’s, the day continued to go straight downhill. Something was different about this week’s checks. On closer look, I saw that they were all printed to be drawn on our old bank account — an account we’d closed months ago. With their new software system, the payroll company had sent us checks that weren’t any good. If anyone tried to cash them, they’d bounce. I’ll spare you the details except to say it was a nightmare . . . but in the end everything was straightened out, and I still had half an hour to look over some food bills. It was only 6:00. With two bartenders already working upstairs, I wouldn’t be needed until it really got busy. The ice bins at the middle station of Johnny D’s, when in working condition. 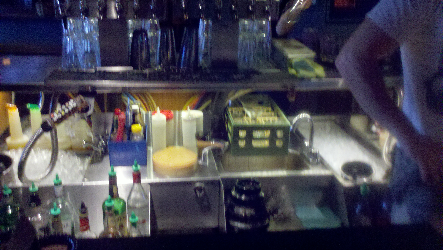 When I stepped behind the bar, Julian was frantically melting down the ice in his left side bin. Someone had broken a glass. If you’re not in the business you might not know that anytime glass breaks anywhere near the ice, you have to melt it all down. When glass shatters, tiny pieces fly just about everywhere, and you can’t see broken glass in the ice. You have to make sure no small shards end up in someone’s drink. I reached the container just in time to receive a bath of olive juice as the remaining half of the juice, and approximately 40-50 olives splashed onto the ice in the right bin. Cleaning up, the waitress had knocked the container over the edge. Accidents happen, what can you do? But now both 30-gallon ice bins at the middle station were temporarily out of commission. Customers waved their hands, six waitstaff frantically shouted for their drinks, we were being slammed . . . and we had no usable ice. “This is not going well,” I finally admitted to myself. The way things were going, next the roof would cave in. Things had slowed down, I needed a break from the madness, so I stopped for a minute to talk with Steve. He was telling me about The Motels, then branched off into other bands, . . . and somehow he began telling a story about a band that had once opened for The Eagles. It seems he was in Springfield MA, covering The Eagles, and at a hotel bar he happened to run into the guys who were the opening act. They started talking and drinking, and since they were in the same business and knew a lot of the same people, they ended up spending most of the night in that hotel bar, talking and recalling music tales. Who was this opening act? Jimmy Buffett’s band, before they became really big. 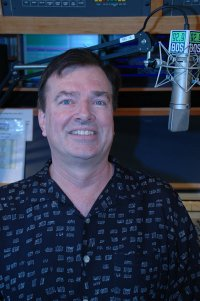 After that the only Boston area critic who got interviews with Jimmy Buffett was Steve Morse, of The Boston Globe. It became so bad that after more than 20 years Buffett’s manager finally called Steve almost apologetically, asking if the band could do an interview — just one — with someone else, the Boston Herald. Gotta love those bar connections. Anyway, talking with Steve put me in a better mood. I do love a good bar story. Back to work, and a woman came up to the bar. “Can I help you?” I asked. Chef Rudy Garcia, out of uniform. “Thanks for the sample,” she said with a genuine smile of appreciation. I was beginning to see some light at the end of this day’s long, dark tunnel. It might be three or four more visits before he actually remembers, but when he does, it’s always worth the wait. 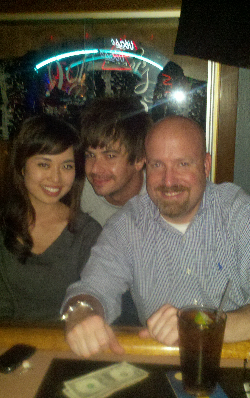 Leehea, with Cris Holt and Joe Shea. Leehae (pronounced LeeHay) Choee walked into the club, just off her shift as a manager at The Blue Shirt Café. She’s smart, cute as a button, and such a pleasant person. She was the capper . . . the person who finally finished turning this entire evening around, 180 degrees. I challenge anyone to stay in a sour mood with the lovely Leehae sitting at their bar. She is such a sweetheart. Damn, I was feeling good now. Then The Motels broke into their top-ten tune, “Only the Lonely” — and everything else in the club stopped. No drinks were served, no one was moving, no one talked. People were spellbound listening to the song. When it was finished, everyone in the place seemed a little high. Wow what a great story. You made me wish I was at your club hearing the Motels do Only the Lonely! It reminds me another post you did before on what its like to be a bartender. This one focused on one day and its a good picture of the life. Love your blog. Wish I’d been there too. You didn’t tell me that story. But as usual, you handled a bad situation with patience and fortitude. Cute story. So, a few decent customers turned your night around. They can do that can’t they? I recall my nights as a waitress in college, customers can make or break you. I could feel the rumblings of an anxiety attack just by reading the first part of this post, Mike, let alone living it. Any one of those events can throw off a night… especially on a night when you’re slammed… you broke the damn record for starting on a bad note. Glad it ended on a melodical note and you all drank happily thereafter. Choas and redemption, a good read all in all. You have good tales. A shoutout from Chicago. Starbucks8295: You would have loved the show, Starbucks . . . and we probably could have used you behind the bar for a few minutes. Always good to see you here. Colleen: Trust me you would have heard about it the next day . . . but you were away for your parent’s 51st anniversary … member? This happened last Friday. Had the post up before you got back, so I didn’t mention it. Llylak: Yup, the customers can make or break your day, Lly. We’re lucky at Johnny D’s . . . in general we have exceptional crowds. They’re all here to listen to one of their favorite bands, so almost everyone is in a noticeably good mood. Scribbler50: We definitely could have used you behind the bar for that crunch, Scrib, when the ice was being melted. But as you know, that’s just part of being slammed. Stuff like that happens all the time . . . what can you do besides push through it. Jackie: Glad you liked it and thanks for commenting! This post inspired my most recent post… I made an FB page for the blog too! I love your blog! You’re a good writer and you have interesting stories to tell!